Mansions of the Gilded Age: Jay Gatsby Mansion and others of the Great Gatsby Era. The real locations, sites and photos of these literary mansions. Jay Gatsby Mansion and others of the Great Gatsby Era. The real locations, sites and photos of these literary mansions. 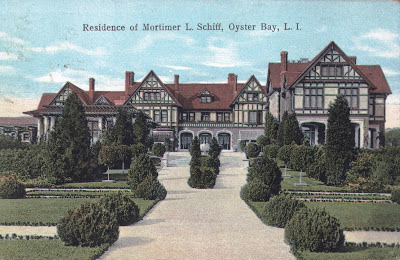 Here are just a few of the many mansions that once stood or are still standing along the North Shore of New York's Long Island. 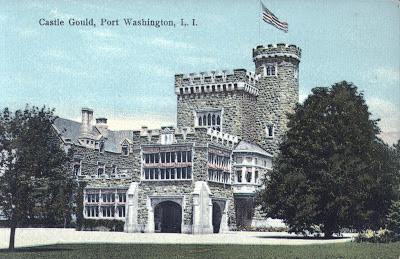 This area due to the numerous concentration of estates and mansions built during the Gilded Age became known as the, "Gold Coast". It was here that F. Scott Fitzgerald wrote and partied with the very rich, famous and celebrated people of the 1920's Jazz Age. The Gold Coast started at Great Neck, where Fitzgerald lived and ran along the Long Island Sound to Centerport. When Fitzgerald wrote, "The Great Gatsby", he didn't use just one house or location, but combined many and moved them all around, sometimes those that were almost next to each other ending up being moved across the water. Here is a list that many historians think were the estates, mansions and locations that Fitzgerald was inspired by when writing,"The Great Gatsby". Beacon Towers at Sands Point, New York. The Great Gatsby Mansion of Jay Gatsby. Demolished late 1940s. 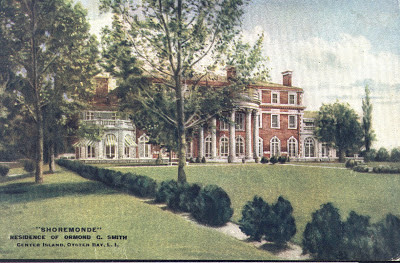 This house that is often thought of to be the model for the mansion of Jay Gatsby was a house built by Alva Vanderbilt Belmont. Alva was a real build-aholic, first commissioning the famous chateau on Fifth Avenue, then the still exisitng palace in Newport called Marble House. 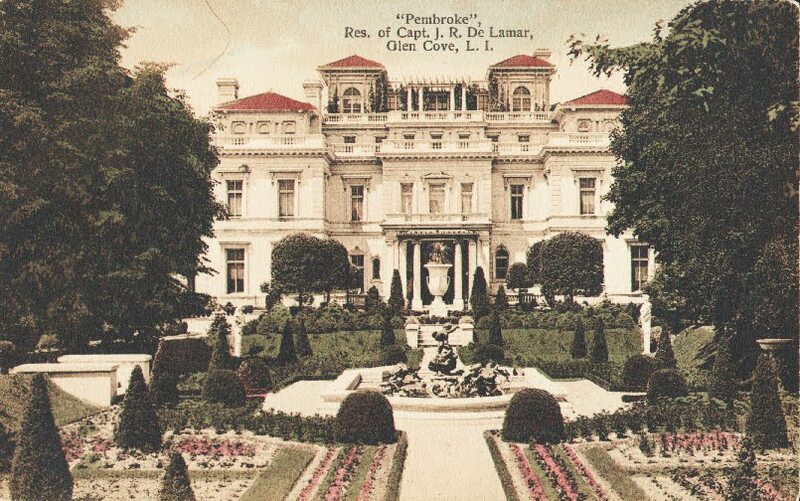 She also lived at Belcourt Castle in Newport, and had numerous other houses in New York City, Long Island and France. She was the first woman ever elected to become a member of the American Institute of Architects, some say because she commissioned so many houses in her lifetime. 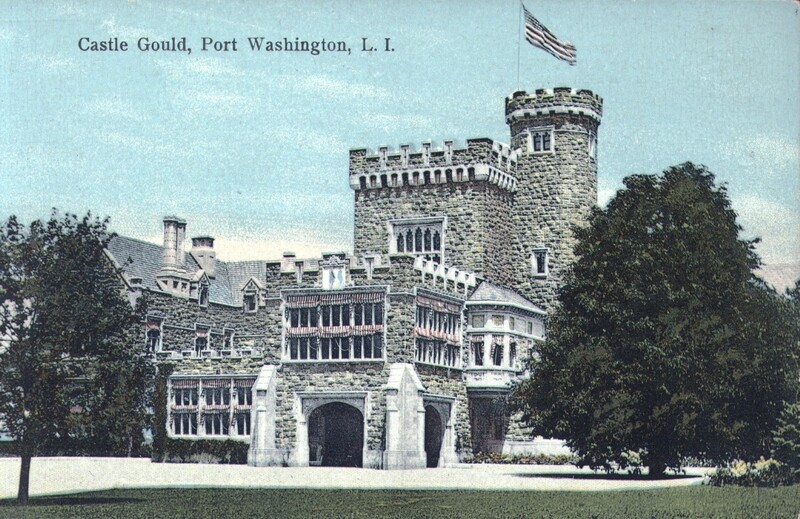 In 1917 she had the architectural firm Hunt and Hunt design for her a castle over looking the Long Island Sound. 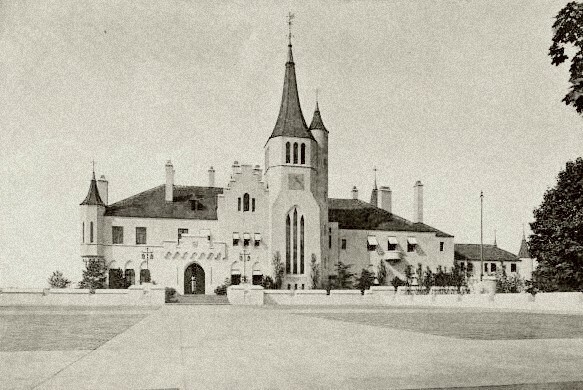 She is said to have commented upon seeing a real Scottish castle that her house on Long Island was more authentic. In the late 1920s William Randolph Hearst, later builder of California's, "Hearst Castle" , bought Beacon Towers and renovated it making it larger and more opulent. He lived there very little, with the house mostly used by his wife, Millicent. 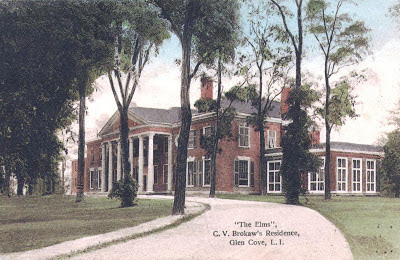 The house was demolished in the early 1940s. Aerial of The Great Gatsby Mansion of Jay Gatsby. 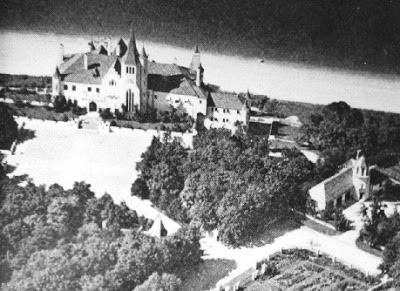 Demolished late 1940s. All that remains is the gatehouse and the garage outside the gates. Click HERE to see the location and site today. Lands End at Sands Point, New York. This Iconic Gold Coast mansion, stood for over 100 years and according to some accounts was built in 1911. Often attributed to architect Stanford White, it has never been proven. If it was built in 1911, then it is not, since Stanford White died in 1906. 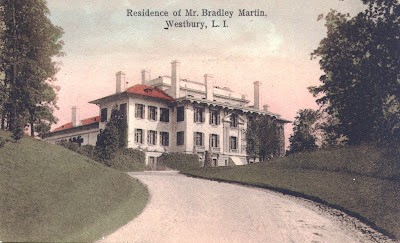 While it was a unique piece of architecture, the only thing that it had in common with any Stanford White building was that it was white with big columns, which is pretty classic for most mansions of this style. 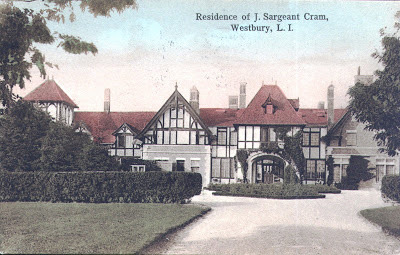 The massing was very unlike any other houses ever designed by White and bore no resemblance to any other works of his or his firm, McKim, Mead & White. From its over scaled heavy topped chimneys, to its slightly angled plan, which from a design point of view, embraced the site perfectly. 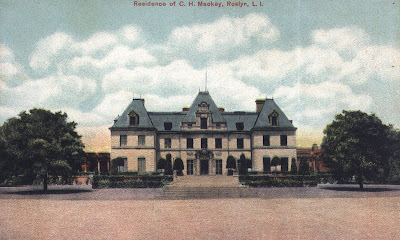 This great mansion,recently demolished was one of Long Island's last remaining jewels and sailing landmarks. During a sunny day or overcast day it rose above its site prominently, The Parthenon of the "Gold Coast'. Lands End at Sands Point, Long Island. The inspiration for the mansion of Tom and Daisy Buchanan. If you will notice from the maps, that both houses are on the same side of the harbor and even within walking distance along the beach. It might have been possible to have seen Daisy's house from Gatsby's house but it is not across the water. 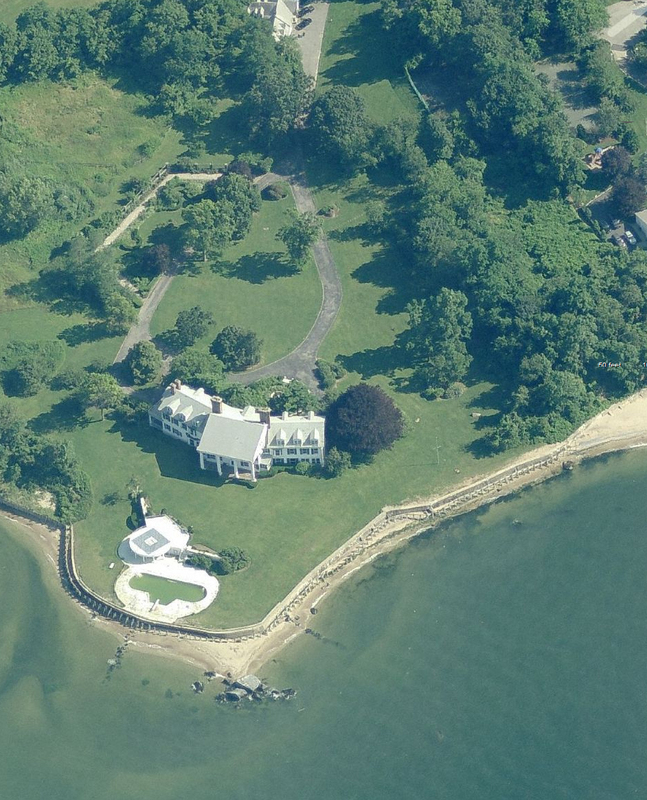 Also both houses are located in Sands Point, which is at the tip of Port Washington. Sands Point is often thought to have be renamed by Fitzgerald as East Egg, the place where old established money lived and not new flashy millionaires like Gatsby. 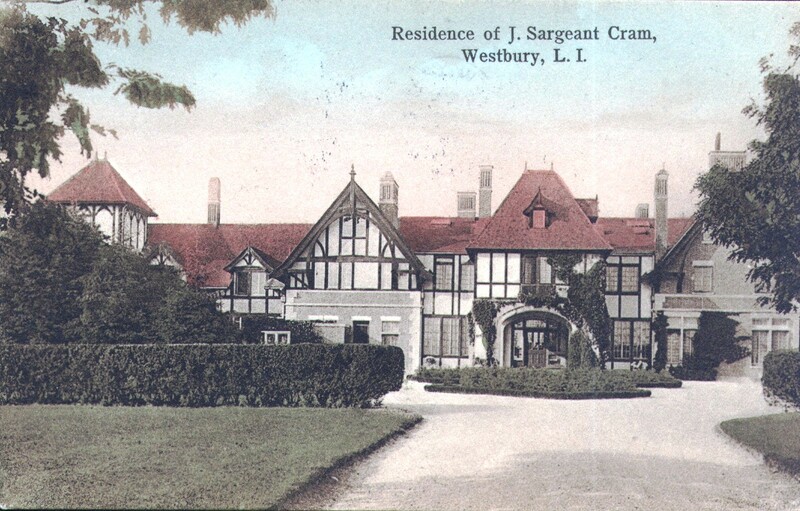 West Egg which was the location of Gatsby's mansion would have been Great Neck, which is the next town west, where Fitzgerald actually lived. 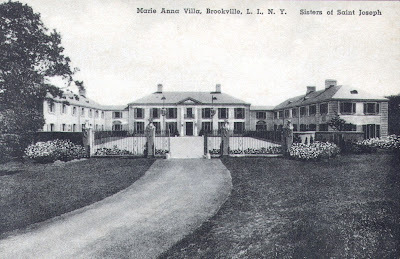 Great Neck at the time while having many estates and mansions of it's own, but most not of the scale of Sands Point, attracted many celebrated people from Broadway and the arts. 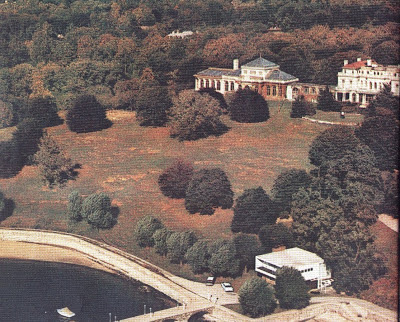 Getting back to the Gatsby mansion and Buchanan mansion, both houses face east looking towards the shore of Glen Cove. In the book, Gatsby's mansion would have been on the eastern shore of Great Neck looking across at the western shore of Sands Point, where Daisy's mansion would have been. But across the water from Beacon Towers,"Gatsby's Mansion",was the estate and phenomenal mansion called Pembroke, which was in Glen Cove. 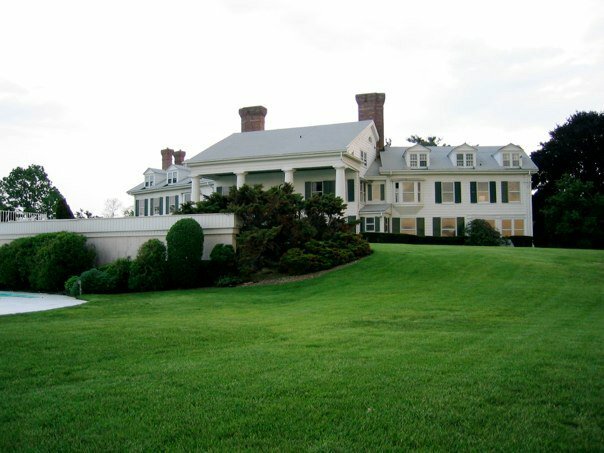 This amazing estate was built by Captain De Lamar, then sold to Marcus Loew, the movie theater magnate. It was here that Fitzgerald probably attended the wild parties during the roaring twenties that were attended by some of the silent screens greatest stars such as Gloria Swanson and Rudolph Valentino and served as inspiration for those depicted in his novel. This estate also had a long dock, with a light at the end, visible from Gatsby's mansion.This mansion was demolished in the 1960s and the estate made into new smaller houses. The palatial mansion of Marcus Loew at Glen Cove Long Island, often thought to be the scene of the wild 1920s Jazz Age parties that Fitzgerald attended and severed as the inspiration for Gatsby's parties. 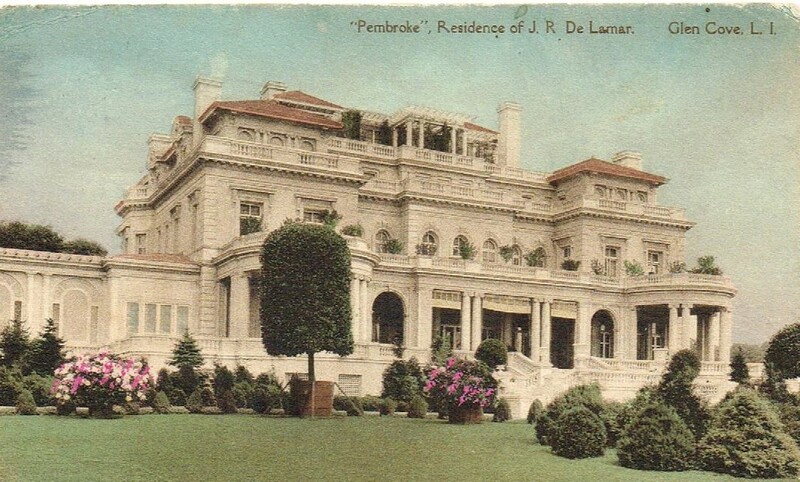 Pembroke from the waterside, Pembroke was the estate and mansion of Marcus Loew, who gave wild 1920's Jazz Age parties, many thought to be the inspiration for the parties of Jay Gatsby F. Scott Fitzgerald wrote about in, The Great Gatsby"
Aerial of Pembroke in later years. The scene of many parties during the Great Gatsby Era, many thought to be the kind of parties that Jay Gatsby gave in, "The Great Gatsby". If you are interested in viewing more Mansions of the Gilded Age, please friend, Gilded Age Mansions on Facebook and also ask to join the group, Mansions of the Gilded Age for comments, movies, recommended books and great places to visit from America's Gilded Age. Below are some other mansions from the Gatsby era, some still standing, but most long gone. 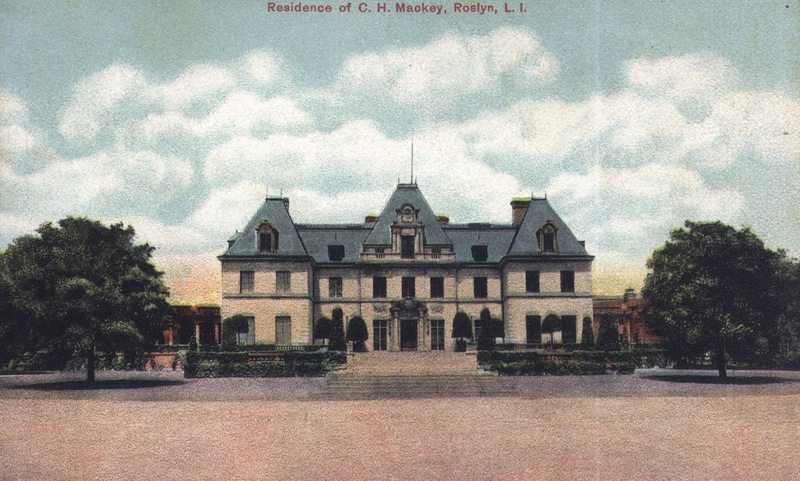 Please search this blog for more stories about these estates and mansions plus other Long Island Gatsby Mansions. Thank for the great link! I am new to this site, but my passion has always been the mansions.Growing up in the Oyster Bay area, I am quite knowledgeable about some. I look to help save any more from destruction. New to all of this so please bear with me. Welcome, please enjoy the site. If you are on Facebook, ask to friend Gilded Age Mansions and you will be put in the group, mansions of the gilded age. It is a great group, where people constantly provide all kinds of information.